Charlie pulled the wheels and tires from his parts box and gave them some authentic-looking weathering for this model. 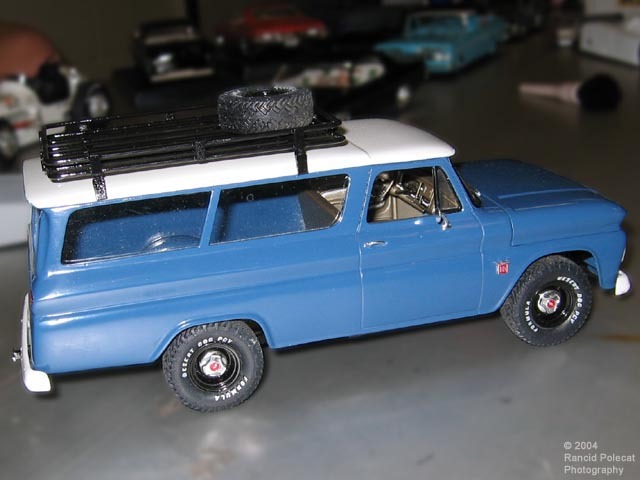 He scratchbuilt the roof rack and front push bar from welding rod. For the driver's compartment color, Charlie once again turned to Testors military flats and found their Jet Exhaust color to be a dead ringer for the sliver/gold vinyl that GM used in these trucks. He also made the side windows from sheet plastic.